Peter Fonda made his name as a hell-raising biker rebel in films like Easy Rider and Wild Angels, but as it turns out, Peter Fonda is a civic-minded gentleman. After all, when the 70-year-old actor caught sight of something unusual in West Los Angeles, California, the first place he went was the West Los Angeles community police station to report it. 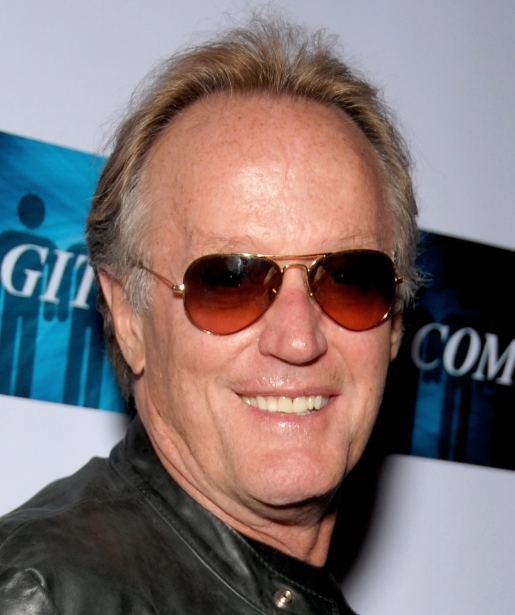 As it turns out, Peter Fonda found a dead body sitting in a car. Fonda is not a suspect in the case, says West LA PD spokesman Sgt. Carlton Cook, just a good citizen doing his duty to his fellow man. The police are currently investigating the death and have not released any details about the dead person, the car, or any circumstances aside from the fact that Peter Fonda spotted the dead person slumped behind the wheel of the parked vehicle. Hopefully it wasn’t just Chuck Lamb, Professional Dead Guy, playing a trick on someone!